Our January 2019 Newsletter. About. Hi Everyone! Welcome to 2019! We are back and ready to kick the year off. Today we wanted to show you through an exciting piece of tech that Panasonic has with their air conditioner range called Nanoe-G. We have also included a 30 minute wet season checklist for your AC. If there is anything that we can assist you with, just get in touch. Have a great day! 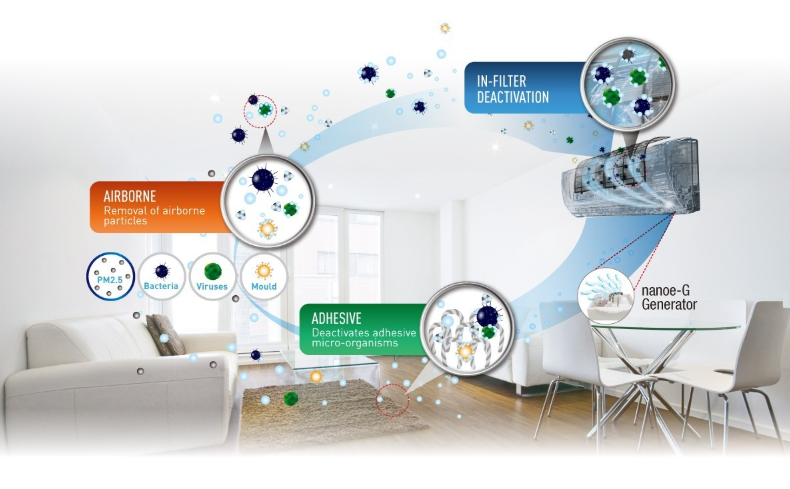 With a significant amount of Australian homes having someone who suffers from asthma, allergies or hay fever, Panasonic’s ECONAVI Reverse Cycle air conditioners bring you a revolutionary air purification system to enhance indoor air quality. nanoe-G eliminates micro-organisms – removing 99% of airborne bacteria, viruses and mould. It also catches and deactivates 99% of bacteria and viruses on surfaces and in the filter, resulting in a cleaner and healthier home. The air purifying feature works hand in hand with the Mild Dry Cooling function, which reduces the unwanted side-effects of air conditioning, such as dry skin and mouths, by maintaining the level of air moisture in the room. It even works when the air con is off! Here's how it works. 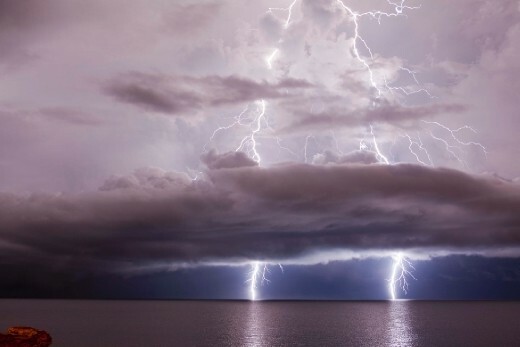 Since we are into the wet season, we thought it was the perfect time to give you a check list of the things to look for during the very testing wet season! 1. Check the filters of your split system AC. You can do this by opening the front of the air conditioner. If there is dust or mould on the filters pull them out and give them a wash in warm soapy water. Allow them to dry and then place them back in the air conditioner. 2. Check the condensate pipe. Start your air conditioner and let it run for 15 minutes. Locate your condensate pipe – usually located on the opposite side of the wall from the AC. This is a small white PVC pipe and during the wet season it should be dripping water. Have a look inside the pipe and make sure there are no obstructions. We quite often find frogs hiding in this pipe! 3. Check the condensing unit. Have a look around the motor of the air conditioner and ensure there are no obstructions. 4. Wipe down the indoor unit. Quite often AC’s are neglected but essential pieces of equipment. Grab a ladder and wipe down all of the dust from the indoor unit using warm soapy water. It will be generally sitting on top near the vents. 5.Don’t set your air conditioner below 22 degrees! In the wet season, this just doesn’t work and it will end up costing you more money. Installation and Servicing to over 6,500 AC's! We're an established local Darwin business and pride ourselves on providing innovative, cost effective air conditioning solutions to the community. 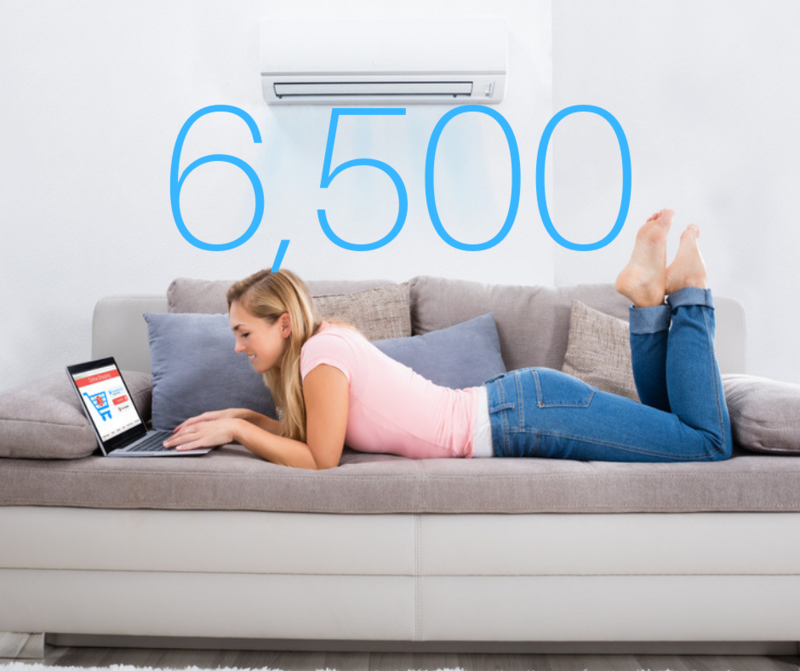 With a dedicated service fleet supporting over 6,500 air conditioners across Darwin, you'll always receive prompt and reliable service from our team. We wish you all the best in 2019. No matter the size of the job, we are here for you. Give us a call on 1800 822 665 - we do free quotes and pride ourselves on quality service. Thanks for reading everyone.